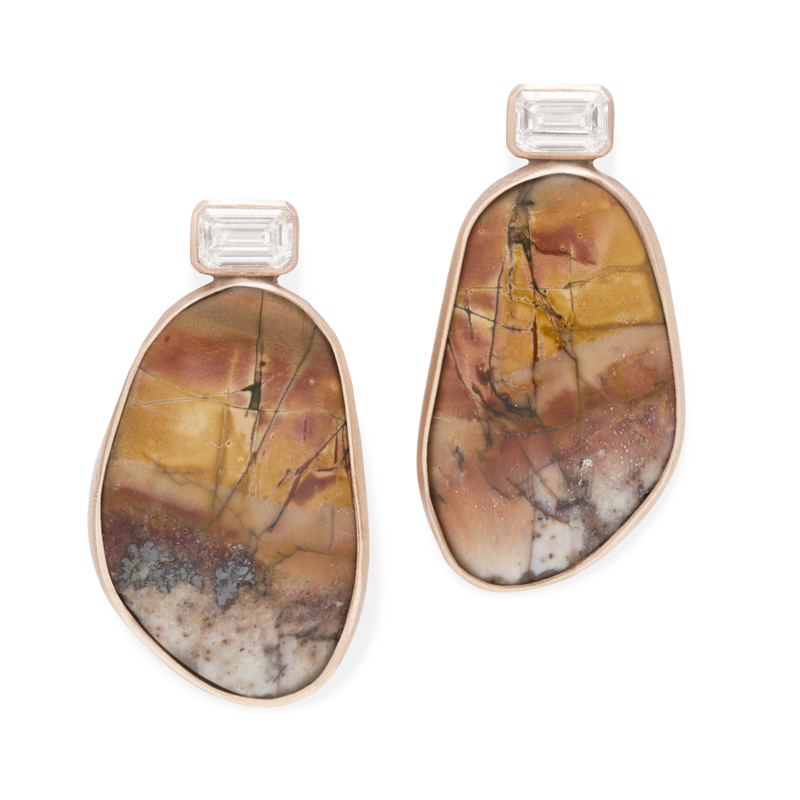 Hues of blush and tangerine distinguish these one of a kind jasper gemstones. Wrapped in 14k rose gold and adorned with emerald cut, responsibly sourced diamonds in this exceptional pair of earrings. Length approximately one and a quarter inch. Width just over half an inch.